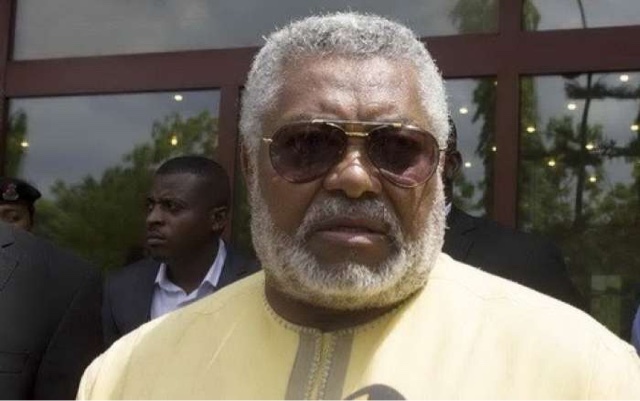 The High Court (Fast Track Division) Wednesday asked former President Jerry Rawlings to mediate a breach of contract dispute between a taxi driver and a micro finance company. The taxi driver, Fio Yohannes is suing Accra-based Melbond Microfinance Company for the recovery of an amount of GH¢32,390 plus interest at the prevailing commercial bank rates from February, 2015 till final date of payment. He is also asking the court, presided by Justice Robin Batu to award him damages for breach of contract and loss of income. A statement of claim filed by Fio explains he had in May 2013, entered into an agreement with Melbond for the hire purchase of a Nissan Almera vehicle at the sum of GH¢15,172 to operate as a commercial passenger transport. He was also to pay a total interest of GH¢15,172 under the 30 months long agreement. Fio then paid an initial contribution of GH¢2,400 and subsequently made a weekly installment payment of GH¢236.2 for 12 months totaling about GH¢9,140. After operating the vehicle for a year during which he consistently honoured his obligation to Melbond without fail, the car was involved in an accident and was written off by the insurer, Enterprise Insurance Company Limited (EIC). The statement of claim said that even though Fio was the one who paid the insurance premiums for the comprehensive insurance cover for the vehicle, EIC on October 17, 2014 paid to Melbond Microfinance, registered as the loss payee on the insurance policy, the full amount recoverable from the insurance policy. Fio was however told, after several visits to Melbond’s offices at Kaneshie, that rather than a new vehicle to replace the damaged one as stipulated under the terms of the hire purchase agreement, he was due only the initial amount of GH¢2,400 he paid as his contribution towards the purchase of the vehicle. The taxi driver then petitioned the office of former President Jerry Rawlings to intervene on his behalf but the company ignored entreaties from Rawlings’ office, following which Fio engaged a lawyer to pursue his rights. In court Wednesday, counsel for Fio, Madam Hanifa Yahaya said her attempts to get Melbond to settle the matter amicably were ignored hence the suit before the court. Justice Batu said this was a case that should have been settled out of court rather than allow it to waste everybody’s time. He said it should be possible to settle the matter within a day and asked counsel for Melbond Microfinance, John David Merson, what the difficulty was in settling the matter amicably. Merson indicated the company was now prepared to replace the vehicle for Fio. But Hanifa Yahaya told the court that given the attitude of the company, her client cannot trust the company any longer and wants to sever the relationship. The parties will return to court on July 23 to report progress or otherwise. Should the parties agree a settlement, the court ordered that a written account to that effect be filed with the court to be deemed a decision of the court.